A new app, available on the Google Play Store, aims to help take some of the fear away from offering first aid when needed. What’s better than helping people using the power of your smartphone? Helping them with an app that’s absolutely free! We all hope we never need it, but few of us actually have the proper training to deal with a first aid situation. If you’re lucky, then you know exactly what to do in any given situation. If you’re like 90% of the population, then the chances are that you’ve absolutely no idea. If you have an Android phone to hand though, you may now be of more use than you would think. A free app, the unimaginatively named First Aid app aims to give us n00bs a few pointers in the health department, should the need arise. By using text, illustrations and the odd video, First Aid aims to demystify the things that we all know we should probably know inside and out, but probably never bothered to learn. 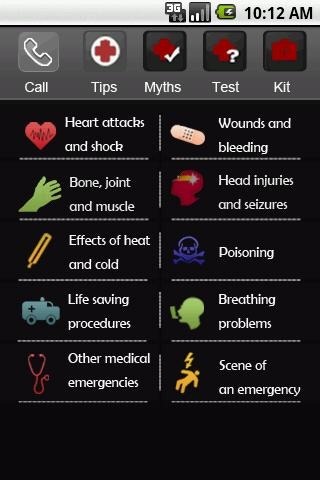 Our favorite part of First Aid, and one that will possibly be the most useful should you have no first aid training, is where the app tells you about popular first aid myths. Often thinking you know how to help and then doing something wrong is worse than just not knowing at all, and dispelling myths could really come in useful. Other options include an area where you can give the app some emergency phone numbers which can be dialled right from inside the app, and a tips area where the app shows how to perform basic steps when needed. 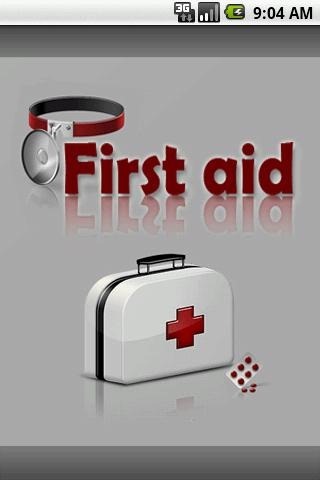 It is important to remember that First Aid is never going to be a replacement for a proper first aid course with the professionals, but if you really have no idea and need a hand in a pinch, then First Aid for Android may be worth the time to download. At free, it is certainly worth the money, even if you never use it. And let’s hope you never do!